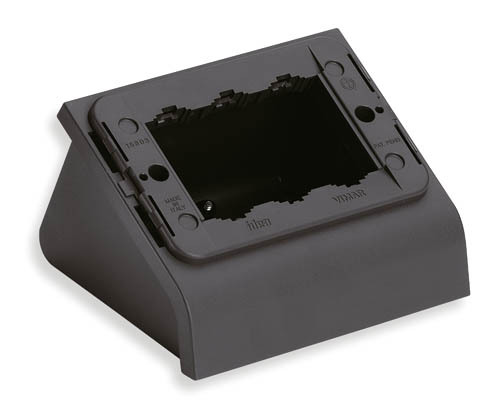 Vimar Idea table mounting frame provides a raised, grey box that holds up to 3 modules. Cord-grip design for a strain-relief, table-ready mounting frame. Electrical box can have a stylish face plate installed for high quality lighting and style.